Coming your way every month! Starts from this Anniversary Special! It’s coming! Something the BeautyWish Box lovers have always desired. 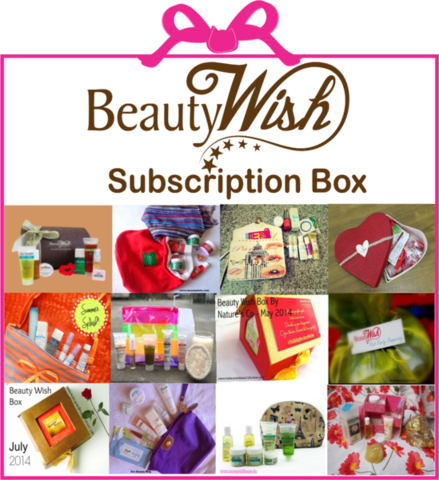 The Nature's Co. for the first-time ever, tweeks their popular BeautyWish Boxes, giving all customers the freedom to CREATE - YOUR - OWN BeautyWish Box - now for all seasons ahead. TNC definitely has you covered with a box designed to soften even the most jaded of hearts. The box will still cover the most innovative, fruit-scented body and hair cleansers to rosy, feminine, aqualicious, earthy, "Au - Naturele" inspired beauty care products. This box is a girl’s best friend, not to mention a great present which can now be completely custom-made for every order. To top all this up, you still enjoy added free gifts and goodies, 35% Discount Voucher, an attractive reusable packaging and Cash on Delivery available.